Freezer meals can be good for you! 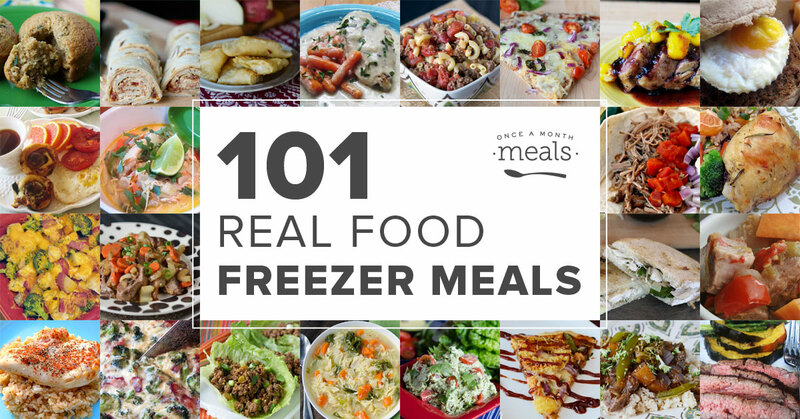 Here are 101 Real Food freezer meals to help you eat with the seasons, nourish your body, and cook from scratch. All Real Food Recipes! All Real Food Menus! You may have noticed that while this post is titled “Real Food Freezer Meals” we linked you to “Whole Foods Menus/Recipes” above. We are currently transitioning from what used to be called our Whole Foods Menu to an improved and renamed Real Foods menu. But currently, our archive mainly consists of menus under the Whole Foods title. We think you will still find what you are looking for there! But Members can always swap recipes and search using our new “real foods” tag. This is awesome, thanks for sharing!! It will be a huge help this fall. Thank you so much for this post! Really awesome and healthy freezer meal roundup. These types of freezer meals are hard to find. I’m going to share this with my followers if you don’t mind.